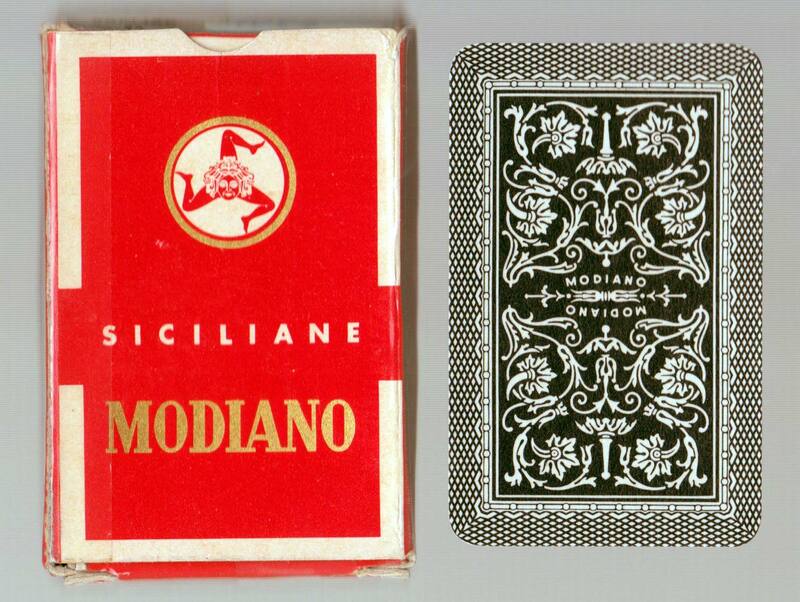 The Sicilian pack has a similar composition to the Neapolitan pack, and is small and squat in appearance. Each court rank stands on a different coloured plot - the kings on green, the knights on yellow and the (female) pages on red. 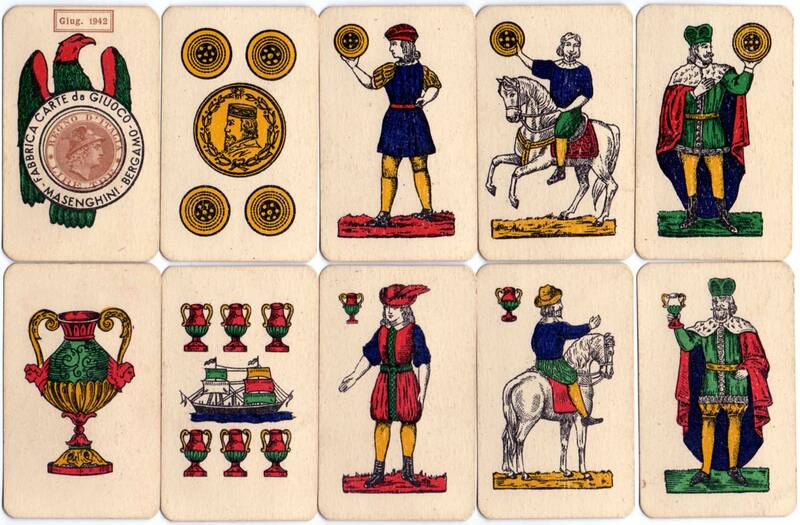 Many of the numeral cards have vignettes on them, such as a small fish, dog, ship, house or a person, and the ace of coins has a single-headed eagle. The pattern is not confined to Sicily: in some southern regions of Italy, many players prefer it to the 'Napoletane'. 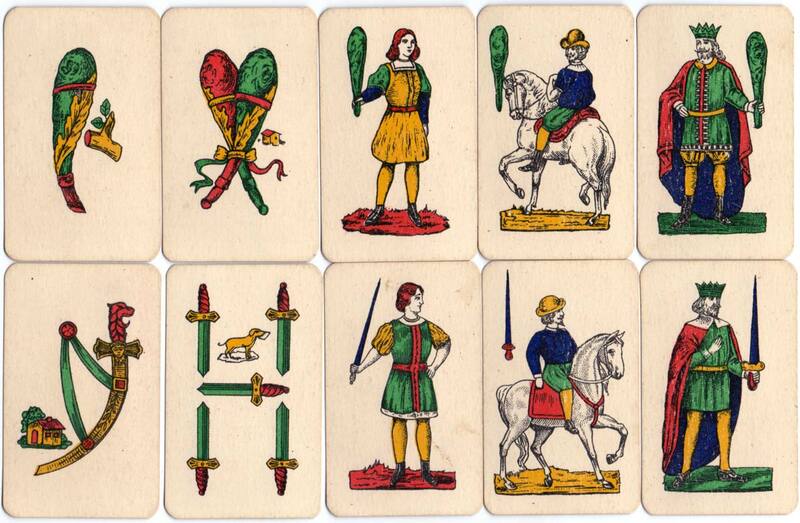 Cards of Spanish style occur in those parts of Italy formerly under Spanish influence, such as Napoletane, Piacentine, Romagnole, 'Sarde' and Sicilian patterns. 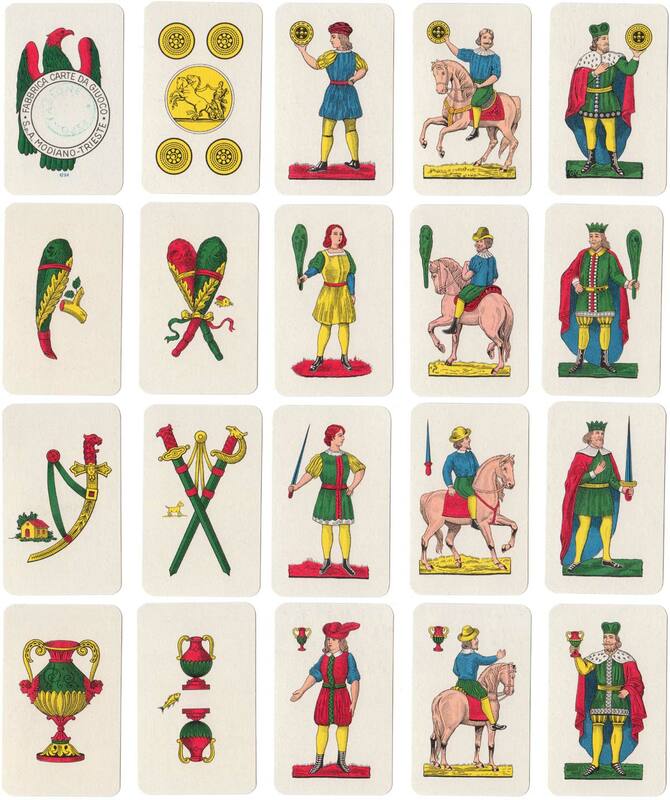 Above: Sicilian pack made by Masenghini of Bergamo, dated 1942, with small vignettes on the numeral cards. Above: Sicilian pattern by Modiano, c.1950. The ace of coins has an export stamp in pale green. See the Box► Images courtesy Rex Pitts.